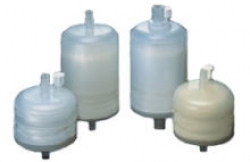 Capsule filters are ready-to-use products with disposable filter assemblies suitable for many applications, including the prevention of microbial and particulate contamination in gas and liquid. 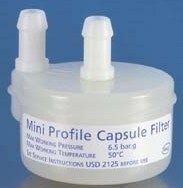 Capsule filters vary by length and pore size and are available in single or double membrane layers. 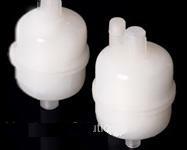 The products are offered with membrane type and depth type media; membrane-type media can be polytetrafluoroethylene and polyethersulfone; depth type media can be glass or polypropylene. 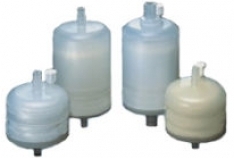 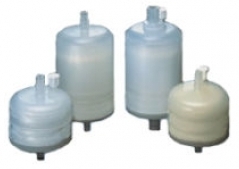 Capsule filters are used for filtration of cosmetics, tissue culture media, seawater, pure water, groundwater, fermentation broth, pharmaceuticals, high purity chemicals, corrosive gases and fluids, process chemicals, aquaculture, trace elements, isotopes, radio chemicals, nutrients, and ions. Once submitted, we will try and place you in contact with a suitable Capsule Filters supplier within 48 hours.